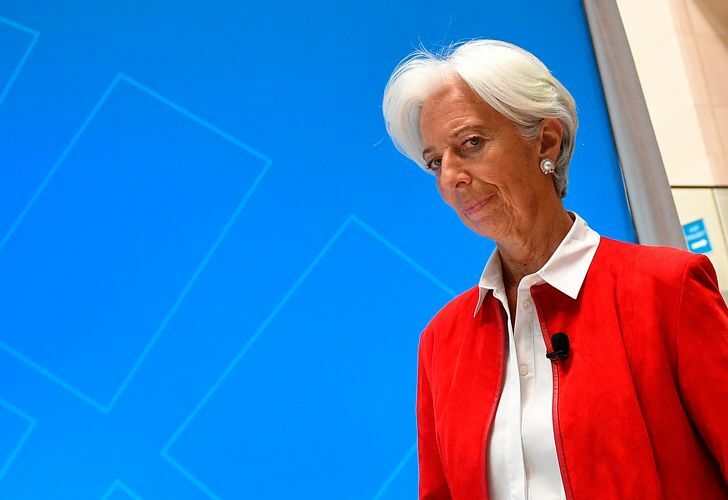 Argentina's cost-cutting economic reform programme is beginning to show results – and it would "foolish" for presidential candidates to abandon it, International Monetary Fund (IMF) chief Christine Lagarde declared Thursday. The nation, which has had a fractious relationship with the IMF over the years, has been trying to stabilise its economy with the help of a US$56.7-billion IMF-funded aid package, and will face presidential elections in late October. "We are now beginning to see the programme actually work," Lagarde told reporters at the start of the IMF-World Bank spring meeting. "Our assessment is that the Argentine economy is at the point where it is going to bottom out." The IMF projects Argentina's economy will shrink by 1.2 percent this year – and improvement on previous estimates of a 1.7-percent contraction – but will begin to grow in the second half of the year and that will be followed by an expansion of 2.2 percent in 2020. "Now that so much hard work has been done, in a programme where social protection has always been one of our three key priorities, it would be foolish on the part of any candidate to turn their back to the work that is underway," Lagarde said. Argentina originally secured a US$50-billion financing package from the IMF in June before returning to the fund to ask for more in October. The IMF granted an extra US$6 billion and accelerated disbursements in exchange for tougher conditions. The INDEC national statistics bureau said the economy contracted 3.5 percent in the third quarter of 2018, following a four percent drop in the second quarter, and plunged 7.5 percent in November alone. President Mauricio Macri will be seeking re-election in October, but he's seen his approval ratings drop amid economic difficulties. Former cpresident Cristina Fernández de Kirchner is tied with him in most polls, even though she faces numerous investigations into alleged corruption during her 2007-2015 administration. Fernández de Kirchner has been critical of the Macri administration for seeking help from the Fund. US Treasury Secretary Steven Mnuchin cited the IMF's agreement with Argentina on Wednesday, as he called for the Fund to carry out reforms in order to become more efficient. He said the IMF should "continue to evolve to respond to future challenges." Mnunchin argued for reforms to focus on the conditions by which countries can receive financial aid and their ability to manage debt. He also said members needed to have stricter terms imposed on them in order to receive aid, citing Argentina's deal as an example. "In the case of Argentina, a focused set of conditions aimed at addressing the weaknesses of monetary and fiscal policies helped to stabilise financial markets, putting the economy on track to return to growth," said the US Treasury secretary. Speaking earlier today, Lagarde also addressed the Fund's position on Venezuela, which is gripped by an economic and humanitarian crisis that resembles the collapse of a country at war. waiting to be guided by our membership and I know that it is in process at the moment as we speak from quite a few members. As soon as that happens we will follow through." The IMF cannot at present help with financing, after Venezuela's National Assembly leader Juan Guaidó in late January challenged the legitimacy of embattled leader Nicolás Maduro, the IMF, World Bank and other institutions cannot help with financing. "We are really very, very concerned about the humanitarian crisis that is unfolding in front of our eyes in Venezuela," Lagarde said. "We are waiting to be guided by our membership and I know that it is in process at the moment as we speak from quite a few members. As soon as that happens we will follow through." The IMF estimates that Venezuela’s economy will contract by one-fourth in 2019, and a further 10 percent in 2020 – a greater collapse than projected in the October 2018, along with unprecedented hyperinflation of 10 million percent. Lagarde stressed that the international response to the Venezuela crisis – which is facing shortages of food and medicine, power outages, and an exodus of its citizens – would have to be a "multi-pronged effort" by many institutions.